Home / Blog / Latest news / One hundred years is too long to wait. Demand justice now. One hundred years is too long to wait. Demand justice now. This year, we mark the anniversary of the Balfour Agreement. It is not a happy anniversary, or one that we mark with ‘pride’ – as Theresa May has said. We mark it by acknowledging the continuum of injustice the agreement created, the historical role colonial Britain played and the responsibility the British state now has to ensure a just and lasting peace. Most of all, we mark it by making sure Palestinian voices are heard. Read on to learn more about the Balfour Agreement, what you can do to get involved, and the events that are taking place over the next few months. 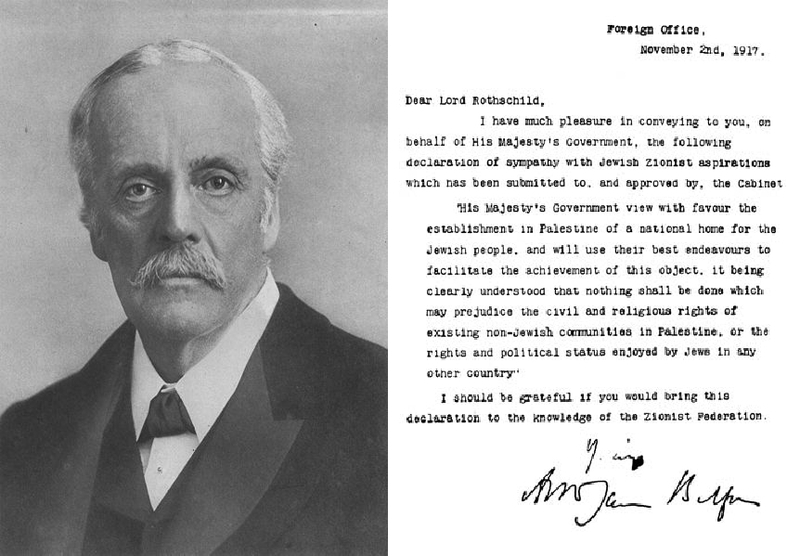 The Balfour Declaration was made in 1917, when British Foreign Minister Arthur Balfour wrote to the Zionist movement pledging UK government support for a Jewish state in Palestine. The declaration famously stated that “nothing shall be done which may prejudice the civil and religious rights of existing non-Jewish communities in Palestine”. The existing ‘non-Jewish communities’ were the Palestinians. They constituted 94% of the population, and were not consulted when their land was given away. This was a typically colonial British act of the time. The British Mandate followed (1922–1947) with the bloody suppression of the Palestinian campaign for self-determination. 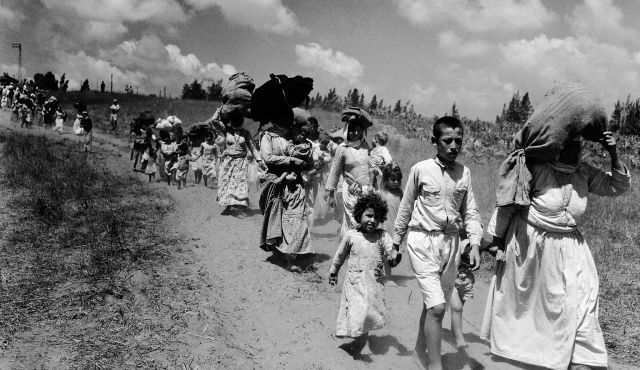 The Nakba of 1948 was a direct consequence of British policies. The essence of Balfour was that the rights of one group of people mattered more. Once you establish that principle and build policy upon it, the injustice which has characterised the next 100 years of history in Palestine becomes inevitable. Ask the British government to issue a formal apology to the Palestinian people for the declaration. You can sign the petition here. Please sign and share widely – if we reach 100,000 signatories, the petition must be discussed in Parliament. Get involved in our #Balfour2Nakba week of activities taking place from 8-12th PSC branches are organising films, stalls and meetings all focused on raising awareness of the implications of the Balfour Agreement. You can read about the events and see a resource pack here. Attend the launch of the Just Walk to Jerusalem on June 10th organised by our colleagues at Amos Trust – or join the walk itself. Attend the Palestine Expo in July organised by our colleagues at Friends of Al-Aqsa. PSC will be hosting a conference as part of the event – more details to follow. Join us at our November 4th rally in London where we will be gathering under the banner of Justice Now: Make it Right for Palestine. 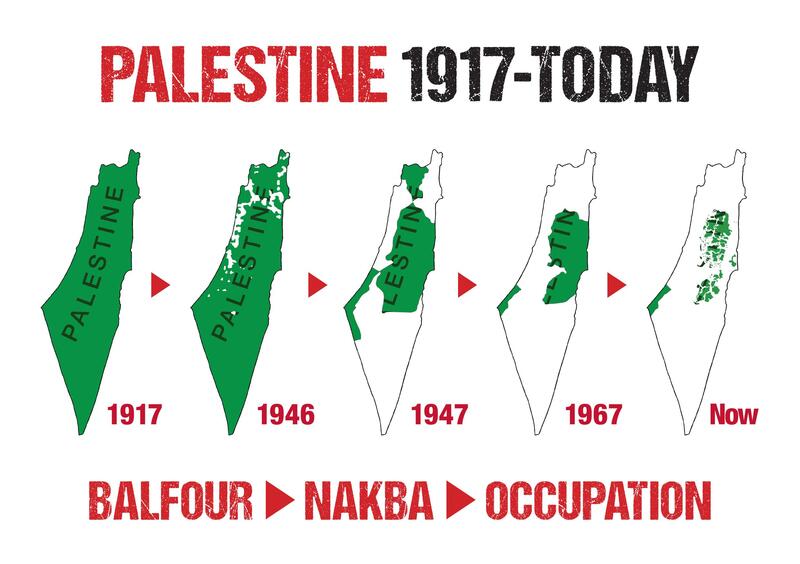 One hundred years after Balfour, the UK continues to stand aside whilst Israel rolls forward its process of colonisation of the land of Palestine. On Palestinian Land Day, the Israeli government announced it will build the first new settlement in the West Bank for 20 years. Whilst we welcome Boris Johnson’s condemnation of this move, we need action not words. This week we have been working with friends in Parliament to launch an Early Day Motion (EDM) after the Easter recess calling on the UK government to review all financial arrangements with settlements. Watch this space.